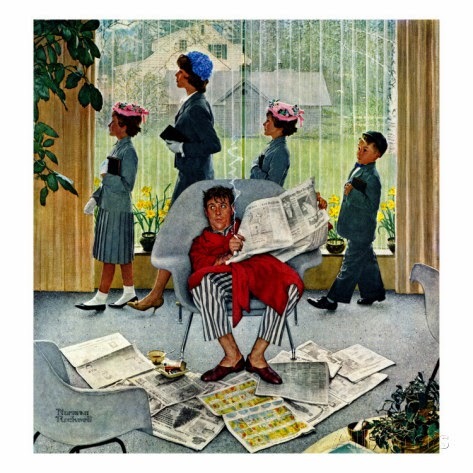 This cover by Norman Rockwell is from May 16th, 1959 is titled "Sunday Morning." I use it as one of my "Gone Fishing" signs. Generally, when you see a Norman Rockwell illustration on my page it means I'm off today. So, that's me hiding behind the newspaper, shirking whatever I am supposed to be doing.